Two decades later he’s back at his alma mater as the new chair of mining and nuclear engineering. A sought-after academic leader, Lusk, MinE’00, PhD MinE’06, was lured from the University of Kentucky, where he served as director of graduate studies and helped build the school’s explosives research program. Once he settled on a major, Lusk quickly gravitated toward explosives thanks to a first-year class taught by Paul Worsey, a native of England known for starting S&T’s popular summer explosives camp as well as co-hosting The Detonators. The 2009 Discovery Channel reality TV show paired the straight-talking Brit with Lusk, his former student. 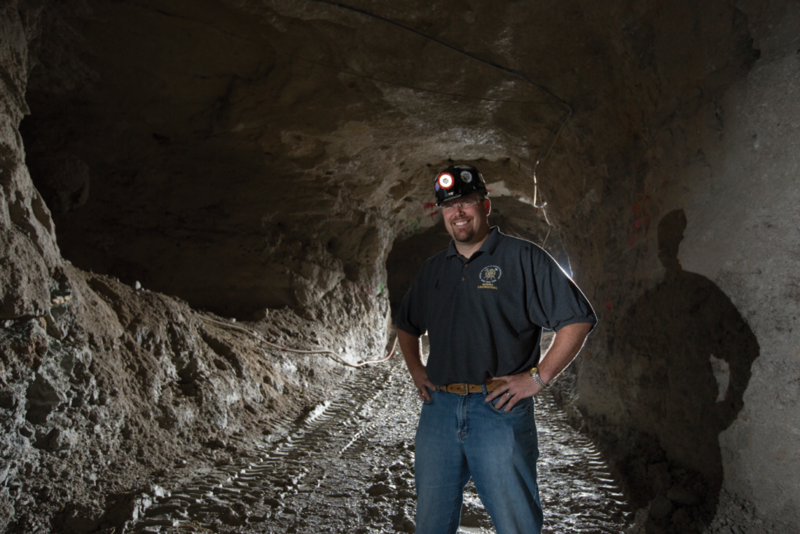 With the help of John Wilson, former S&T mining engineering chair, Lusk got a summer job after his first year of college at a salt mine in his hometown of Hutchinson, Kan. He parlayed that experience into a job at a Cargill underground salt mine beneath Lake Erie in Cleveland, then transfer to another Cargill position back in Hutchinson. The work was rewarding, Lusk says. But something was missing. Since Lusk earned his doctorate in 2006, enrollment in mining engineering at Missouri S&T has more than doubled. Though he comes from a mining background, Lusk is quick to highlight his interest in simultaneously growing S&T’s nuclear engineering program. The disciplines are distinct but also closely linked, he says. Lusk acknowledges that the global and industry push for renewable energy and concurrent increase in federal regulations requires a decidedly 21st century approach to his chosen discipline, even as he exudes confidence that well-trained miners will always remain in demand.